Unique pattern masks printed text of any length. Helps keep others from seeing your private and confidential information. 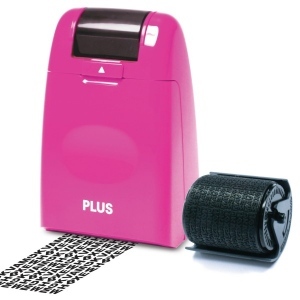 Perfect for bills, bank statements, junk mail and more. 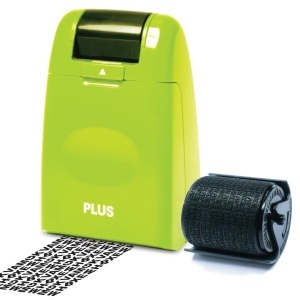 A great alternative to a shredder. Attention: These products may not conceal all data completely. 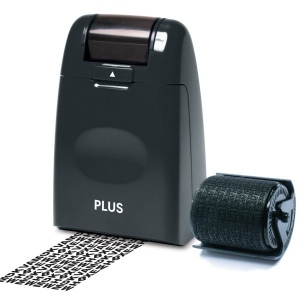 PLUS Corporation is not responsible for any damages which may be incurred through the use of these products. Not recommended for use on the following materials: Coated paper, glossy paper, photo paper, plastic sheet, sulfate paper, paper with a rough texture or paper that easily absorbs ink.